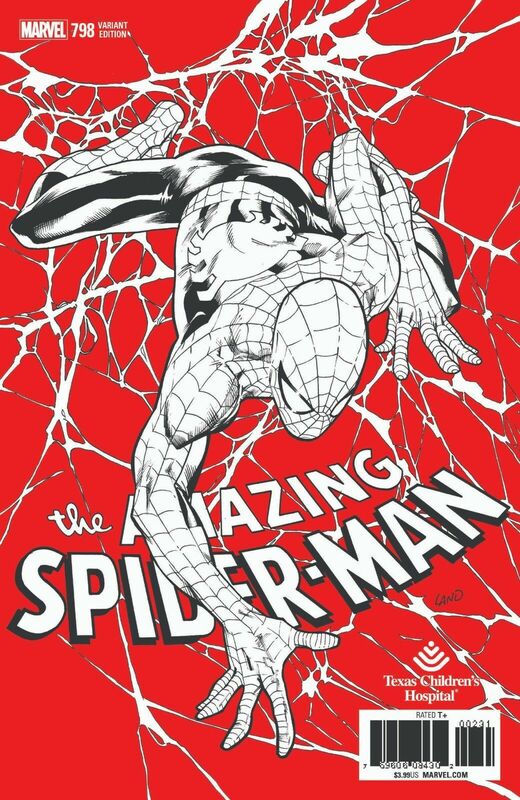 Amazing Spiderman #798 Texas Children’s Hospital Variant (available on eBay) is out April 4, 2018. Copies of the book are being pre-sold. It features a Greg Land cover. The book is exclusive to Space Cadets Collection and Njoy Games & Comics. 10% of the proceeds go to The Texas Children’s Hospital. any idea what the print run is? I cant find it anywhere. I’ll get one, but for a charity you would think they would give more than 10% of the proceeds, especially at $20 a pop. 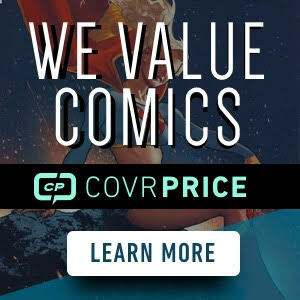 Then again, I do not know all the costs associated with exclusive covers, so my opinion might be a bit misplaced….What’s the print run one these? These sold fast! When I looked it stated more then ten available. A minute later it stated “almost gone” but I was able to get one. I’m sure there are other ways to get this, but wow, literally 50 sold in about 20 minutes or so. Just FYI, the eBay 10% is in addition to what will be donated based on the total sale of the book. To list it as a “charity auction ” on eBay a value has to be listed, which is deducted by eBay for the charity. So the total donations will be higher than just the 10% eBay lists. No listed print run on these. Someone contacted them on eBay and they said they didn’t want to say. Sold out before I could place the order. reloaded a new link, try again. I managed to get 1, but it looks like it already sold out. I also agree the 10% seems pretty weak. Nice cover but I’ll stick with the regular cover and hope to get the Garron also. Also there are more costs to doing an exclusive than just the book cost. When I did some of my exclusives I paid for the cost of the book, cost of shipping to me, bags and boards, Gemini Mailers, Time has to be included in the cost because it takes time to bag and board tape packaging boxes print postage, there’s cost and that too, drive them to the post office drive back. I bought two of the color, despite folks saying it seemed pretty suspicious that they were only donating 10% and now I honestly feel like a rube. I noticed they’ve now also rolled out a B/W virgin for even more money, and still only at the 10% donation level. With the number of copies they ordered their only overhead should have been paying the artist, and shipping. 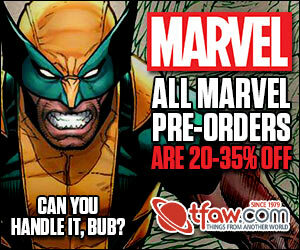 Marvel wouldn’t have made them pay anything for the right to producing the actual variant or anything. This is feeling more and more to me like the donation was just a way for them to get people that wouldn’t have otherwise bothered with a variant to buy a copy or two.